Inverness Therapist: Debbie Kelley - Therapist 34450. Debbie Kelley is a licensed Mental Health Counselor residing and practicing out of Inverness, Florida. 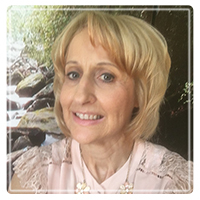 Debbie is a warm, understanding and compassionate therapist that is committed to helping you meet your therapy goals and live a happy and fulfilling life. The office is located in a convenient location with it's own parking and offers a peaceful and calming atmosphere. Debbie is committed to ongoing study to make sure you are getting the most cutting-edge and individualized therapy for your mental health needs. Special Skills: Ms. Kelley moved to Florida in September of 2015 and was engaged in community counseling services for Children’s Home Society of Florida before starting in private practice back in June of 2016. Debbie Specializes in Couples Counseling, using the Gottman Method. She is certified in EMDR and has a fund of knowledge concerning the brain-body connection and the impact it has on mental health. Debbie has experience working with all age groups from toddlers to the elderly. She has many years of experience working with adolescents struggling with a variety of mental health issues. CBT (Cognitive Behavioral Therapy) to help with depression and anxiety and empowering clients. The cost of therapy is $60 per 50 minute session for any therapy offered (i.e. couples, individual, family). A bill is provided that can be submitted to your insurance company for reimbursement.